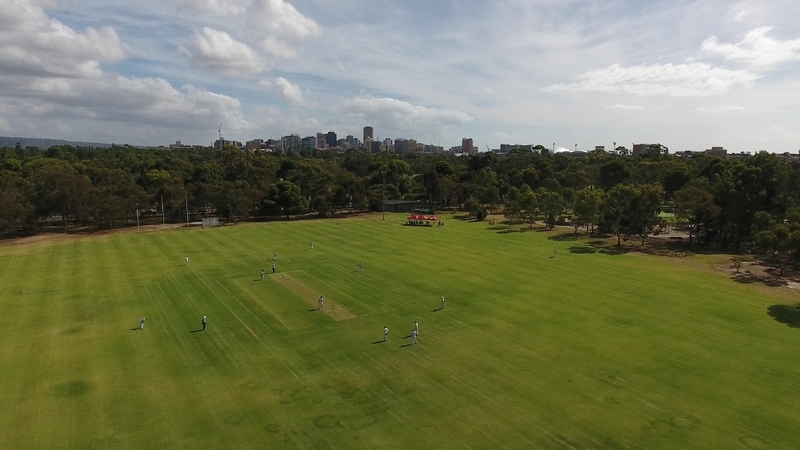 From the earliest days of European settlement, cricket and Australian football have been played in the Adelaide Park Lands. By 1920, as many as 250 permits were issued for clubs wanting to play sport in the Park Lands. A controversial topic for many was the playing of sport on Sundays. In 1939, under pressure from a deputation from members of Protestant churches, the council banned organised sports from the Park Lands on Sundays. It took until 1967, 28 years later, to reverse that ban. This oval was levelled for use in 1914. This oval is currently licensed to the Prince Alfred College, and its Old Collegians Association. This means that they have the first right of use of the oval – the public can use the area when the licencees aren't using it. In November 2017, the City Council approved (in principle) the building of a new 375 square metre clubroom facility to replace TWO old facilities. The Council decision of November 2017 represented something of a compromise between community residents and the Prince Alfted College. Originally the College had wanted to build something larger, including a function centre. The Council decision was to approve a building with a combined footprint slightly larger than the combined footprint of the two buildings it was intended to replace. The planning of the new building and negotiations over its proposed usage, demonstrates the ever-present tension faced by the City Council in its management of most of the Adelaide Park Lands. Sporting or recreational clubs and schools often seek to build amenities on Park Lands and their plans must be set against community expectations of Park Lands as public spaces. Adelaide Park Lands Preservation Association, “11. Sports oval and facilities,” Adelaide City Explorer, accessed April 26, 2019, https://adelaidecityexplorer.com.au/items/show/325.